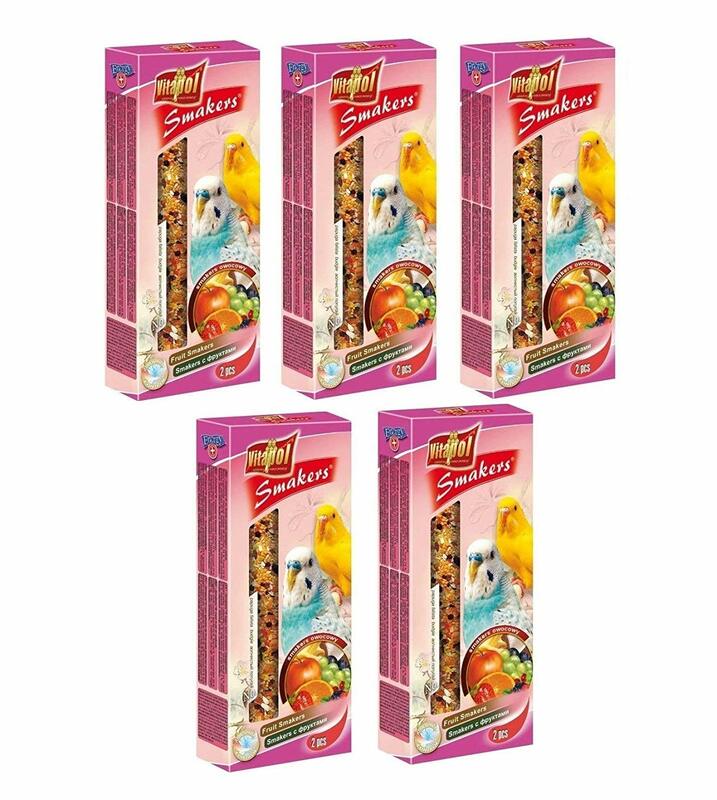 Consisting of premium quality, natural ingredients, Vitapols’ Fruit Smakers for Budgie is a perfect treat for your fine feathered friend. Ideally sized with a zesty fruity punch, your pet is sure to love and devour this yummy treat. Blended with high-quality berries known for its anti-oxidant properties, it also contains protein-enriched coconut. Not only are these treats nutritious, but they also help stimulate your bird's natural zest for activity and instinctive urge to forage for food, keeping its beak in perfect condition. After all, a healthy budgie is a happy budgie!